At PrimeLine Products, Inc., our team works to provide pipe professionals with the best equipment possible, so they can be leaders in their service area. Our team is comprised of industry experts who are knowledgeable about pipe equipment needed to complete every job with precision and accuracy. All of the products we offer at PrimeLine Products, Inc. are beneficial to your business in a variety of ways that make your work as efficient as possible. Over the past several decades sewer repair and replacement services have significantly grown. Instead of offering excavation to all customers, industry professionals have the opportunity to provide their customers with trenchless technologies that restore pipes with ease. Sewer systems are susceptible to unexpected damage as well as damage over time due to the waste that is constantly moving through them. Trenchless lining systems allow for pipes to be rehabilitated in the most effective way possible. Additionally, sewer lining systems do not expose your customers or other individuals to waste during the pipe repair process. Sewer lining systems involve three basic steps that inspect the pipe to assess damage, clean the pipe to make sure it is in pristine condition for lining, and repair the pipe through a single access point. Sewer camera inspections are a necessary aspect of sewer lining because it allows your team to get a real-time view of a pipe’s interior. 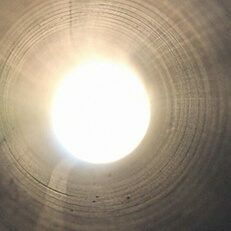 Through a single access point, whether it is a cleanout hole or a hole you strategically dig, you will insert your high-resolution camera into your pipe to explore your customers’ sewer or drain system. The inspection will reveal the areas of the pipe that need repair in addition to showing you what areas need a thorough cleaning due to clogs, blockages, tree root invasion, and more. Drain cleaning is the second step of the sewer lining process which ensures that the lining has a clean surface to take to. Hydro jetting is the primary cleaning method used before sewer lining. A hose with a special multi-directional nozzle will be inserted into your clients’ pipe. When securely in place, you will release the high-pressure water into your clients’ pipes, flushing out all debris and buildup. Once completed, the damaged pipeline will be prepared for lining. Sewer lining is a seamless process where you will saturate a felt liner with a special epoxy resin. When the liner is completely saturated, you will push it through your clients’ pipe coating the walls. The liner is left in place to harden for several hours or 60 minutes if heat is used. After the epoxy has cured-in-place, the liner will be removed and there will be a brand-new pipe inside of the existing one. As a pipe professional, you want to make sure that you and your team are offering the best services possible and the number one leader in your area. If you are looking to grow your business or invest in new equipment, contact our team at PrimeLine products today.